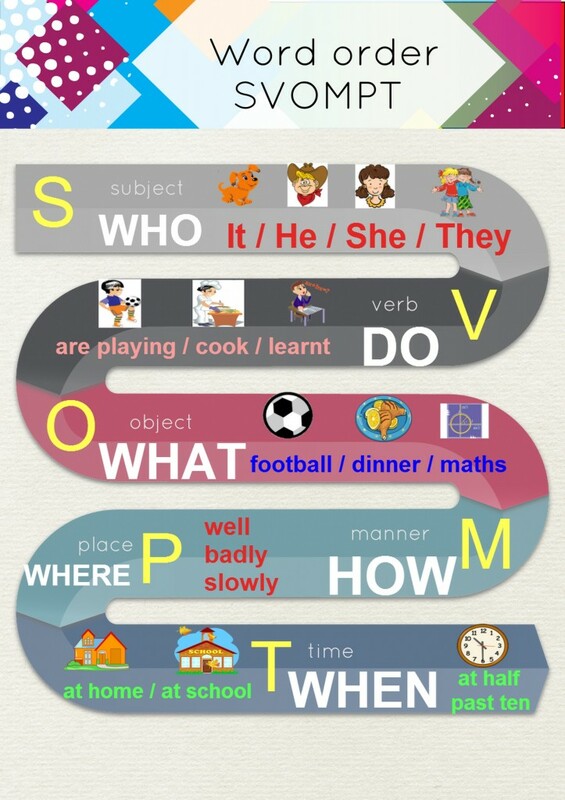 The SVOMPT rule is the most important rule in English. As there are very few declinations in English, the word order rule is the one that keeps the sentences understandable. If you do not apply this rule, your sentences will make no sense. Unfortunately, there are very few textbook that teach this grammar explicitly. For example, I teach the textbooks Happy House, Happy Street, Project, Inside Out and Headway and none of them teaches SVOMPT. The rule is taught only implicitly. But I think that this is so important that you need to teach it explicitly. Thus, if your textbook fails to do so, set apart two lessons and teach this rule. To make your work easier, you will find an infographic and a worksheet which you can use in your lessons here. This time I try to make things a bit easier and I created the following infographic. When explaining the rule, emphasize that you cannot leave out the subject. You have to express it and it has to be followed by the action that the subject makes. After the action object follows. Object is the thing that has been somehow affected by the action. Then the adverbs follow. Students have to remember that each sentence has to contain the SUBJECT and VERB. The other parts might or might not be there. 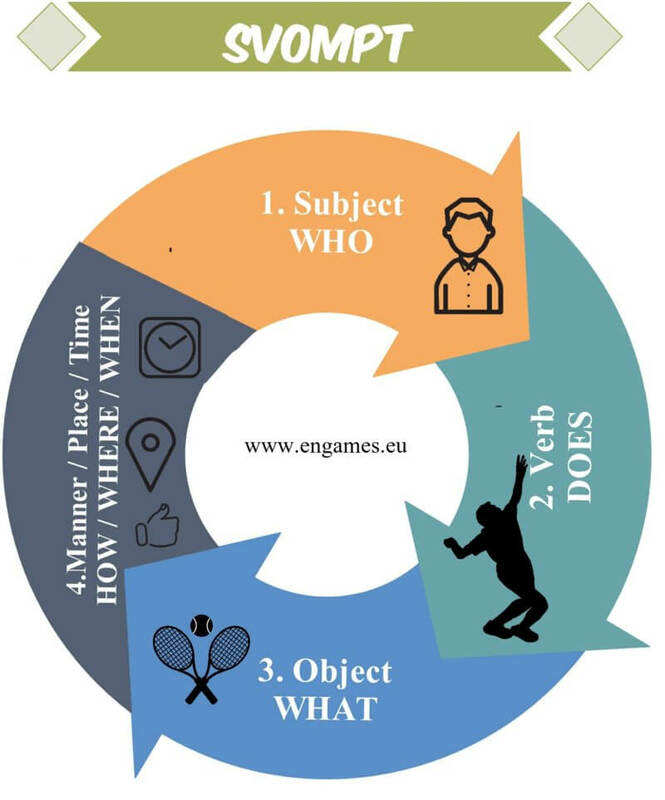 To practise the grammar, here is a worksheet with three exercises. In the first exercise, students circle the sentences that are correct. You might use the exercise before the explanation. In the second exercise, students place the word in brackets into the correct position. In the third exercise, students put the words into the correct order. In the last exercise, students write sentences about the animals, using the words in the pictures.